We know getting braces is a really big decision. We try to make it as easy as possible by giving you as much information as we can. Below are some answers to frequently asked questions. We also invite you to come in for a free consultation with one of our caring and experienced orthodontists. That’s the best way to learn how you or your child can have the smile you’ve always wanted! Many dental problems including crowded teeth, missing teeth or jaw alignment problems are genetic. Other dental problems are the result of bad habits, such as thumb-sucking, using a pacifier, or poor oral hygiene that led to tooth decay and the premature loss of baby teeth. The American Academy of Orthodontists recommends children see an orthodontist at the age of 7. Bite problems, called malocclusions, often become noticeable between the ages of 6 and 12 as the child’s permanent teeth erupt. Phase I treatment, which is also called early treatment or interceptive orthodontic treatment, typically begins in children who still have a mixture of baby and permanent teeth. It’s typically started when the child is between the ages of 6 and 10. Early treatment is often used to help correct severe crowding, tooth eruption problems, bite problems, narrow jaws and protruded front teeth. Early correction may prevent the need for the extraction of permanent teeth or surgical procedures later. Braces may still be needed when all of the permanent teeth erupt, but the duration of treatment is often shorter. What is Phase II Treatment? Phase II or full treatment occurs when all permanent teeth are erupted, typically after the age of 11. The goal of Phase II treatment is to straighten your permanent teeth and align your jaw. Patients who have undergone both Phase I and Phase II treatment are more likely to have lasting results. Your treatment will depend on your specific needs. Most patients with wire braces visit the orthodontist every 5 to 10 weeks. 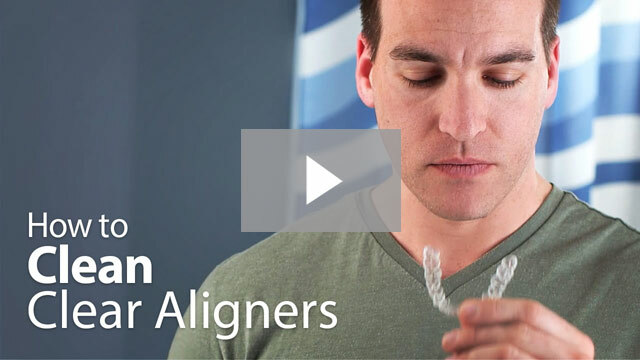 Patients with clear aligners typically visit the orthodontist once every four to six weeks. Your orthodontist will let you know your schedule. Every patient is different. Most people need braces for 12 to 24 months, although some require up to 36 months of treatment. Do I still need to see my family dentist? Yes. You should continue with your regular dental checkups while undergoing orthodontic treatment. Your family dentist will determine the intervals, and can advise you whether you should have your orthodontist remove the arch wires so the general dentist has better access for your dental cleaning. The arch wire would be replaced by your orthodontist after the cleaning. Yes. We know you’re excited about your new smile, but you must wear a retainer to help keep your teeth in their new positions. 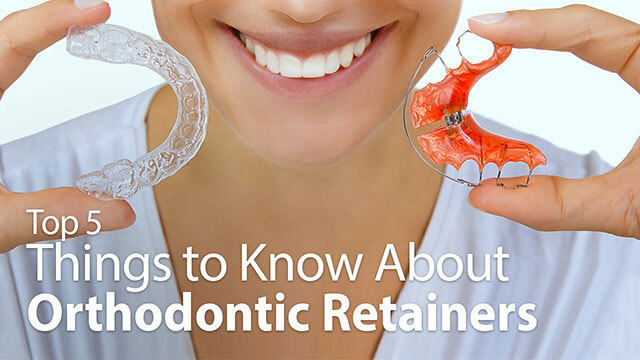 Most patients wear a retainer for about a year; your orthodontist will tell you how long you need to wear your retainer. Yes. The bands, brackets and wires are very delicate and foods that are chewy, sticky or hard can break them. We recommend you avoid hard candy, taffy, caramels, gum, hard pretzels, peanuts, popcorn, whole apples, raw carrots, corn on the cob and other hard vegetables and fruit. Also, don’t use your teeth to open containers and be sure to cut up meat into bite-sized pieces, especially steak and ribs, rather than use your teeth to separate the meat from the bone. Do I need to brush my teeth differently? No matter what type of orthodontic treatment you have, you’ll need to be especially thorough when brushing your teeth to prevent cavities and periodontal (gum) disease. Patients with wires and brackets will need to brush after every meal to prevent food and plaque buildup around the wires, brackets, bands, teeth and gums. A soft-bristled revolving power toothbrush is usually recommended. Start brushing down from the top of each tooth, then switch to brushing up from the bottom of each tooth. Patients with clear aligners will need to brush even more frequently because aligners prevent saliva from helping to wash away the food and plaque. Our team of specialists will show you the proper brushing and flossing techniques, and may recommend that you use an irrigation device to loosen trapped food particles, too. How do I floss if I have braces? How do I use a dental irrigation device? Fill the device’s reservoir with water or an antimicrobial rinse recommended by your orthodontist. Turn on the irrigator and direct the stream between all teeth and around brackets and wires. The irrigator will use a pulsing motion to loosen plaque and food particles so you can brush them way. How do I clean my clear aligner? Brush aligners using lukewarm water and a soft-bristled brush or the kit that your orthodontist provided. Aligners can be soaked and cleaned in the denture solution your orthodontist recommended. Do not use toothpaste or any other abrasive material on your aligners. Also, do not boil your aligners or they will melt. What do I do if I have an orthodontic emergency? Your teeth may be sore for three to four days after an adjustment. Your orthodontist may recommend that you take an over-the-counter pain reliever such as acetaminophen or ibuprofen or eat a cold snack like ice pops or ice cream to alleviate the discomfort. What do I do if my cheeks or gums are irritated? What do I do if a brace loosens? What do I do if a wire is poking my cheek or gum?